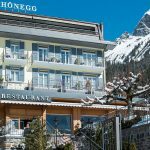 The Hotel Schönegg is loca­ted in a slight­ly ele­va­ted posi­ti­on at the end of the vil­la­ge cent­re of Wen­gen, in the heart of the Ber­ne­se Ober­land. 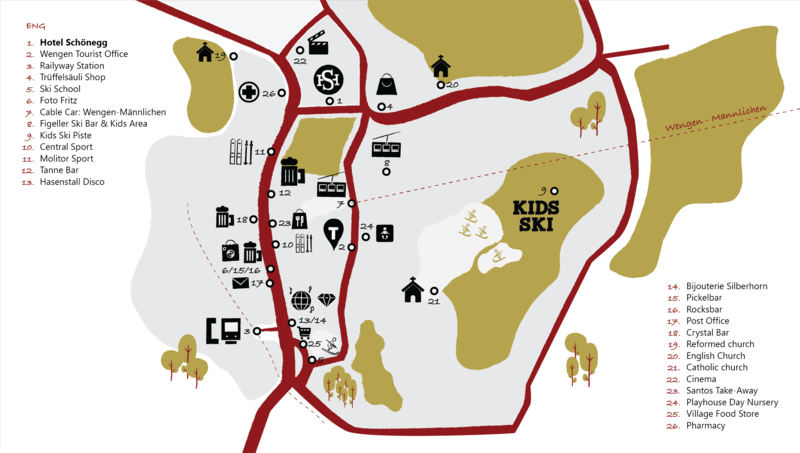 From here you can enjoy a fabu­lous view over the his­to­ric vil­la­ge and the famous Jung­frau mas­sif. Sin­ce over a hund­red years, Wen­gen has been valued by adven­tu­rers around the world for its uni­que posi­ti­on: The clas­sic moun­tain vil­la­ge is the ide­al star­ting point for explo­ring the pic­tures­que land­s­cape around the Lau­ter­brun­nen Val­ley. On foot, by bike or via fer­ra­ta. 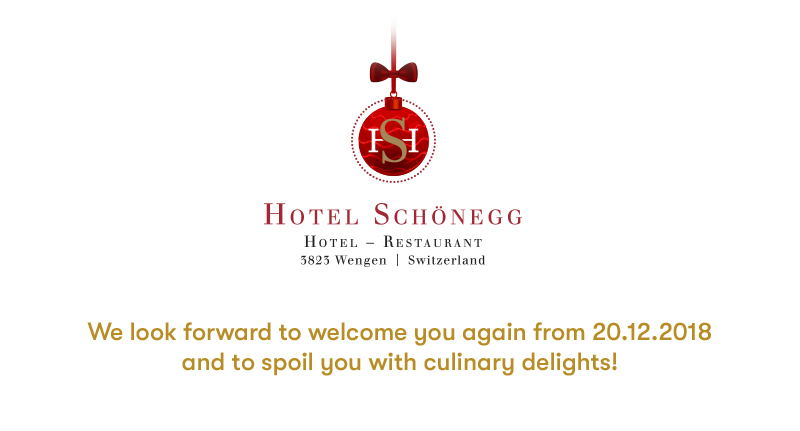 Yes, Hotel Schönegg is allo­wed to use my data to pro­cess and ans­wer my request accord­ing to the data pro­tec­tion regu­la­ti­ons.